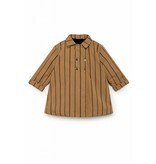 Mid-length, oversize parka in striped cotton with waterproof finish and flared, long sleeves. 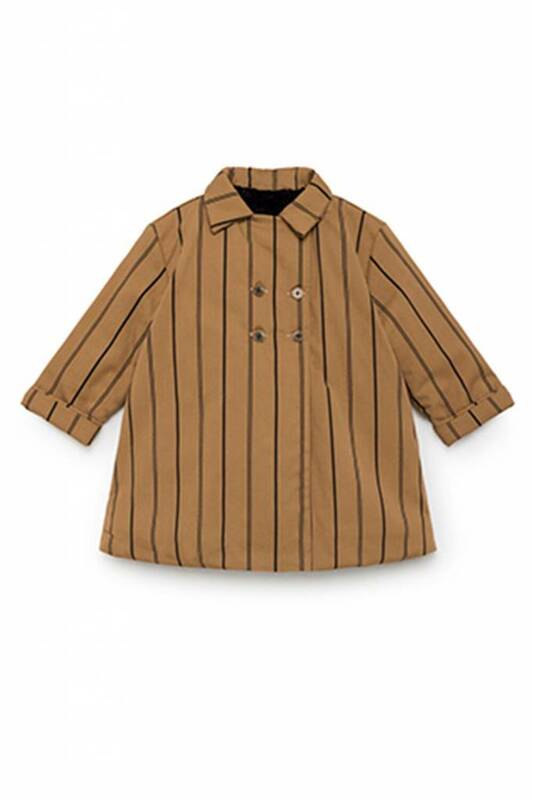 Faux fur lining, quilted sleeves with cotton lining and metal button fasteners at front. Little Creative Factory Vancouver. Little Creative Factory Canada.